Hello, all of you gorgeous people! I am well, busy but well, #MumLife! But I am here today to talk about Spring fashion. More specifically transitional Spring fashion. How are you all today? I hope you are well and that’s it warmer where you are than it is here, SO COLD!! With these cold but sunny days, it makes me excited for Spring. Flowers waking up and blooming. The fresh crisp air and sunshine. The rainy showers make it perfect to snuggle indoors. Spring fashion and how I can give my everyday fashion a much-needed Spring lift. It also makes me think about fashion! Before I add more floral prints and pastels to my wardrobe, I am loving red! More specifically my red tartan shirt. A bright colour for Spring and your everyday fashion is a great way to spruce up your outfit and red is bright. I have to say it is one of my favourite colours, especially in my wardrobe. It is such a statement colour and adds life to your look. So this weeks outfit of the week is all about red. Starting, obviously, with this awesome tartan shirt that is super comfortable. It is also great for layering when the weather is chilly. I styled this with a simple red bodysuit. But vest or strap tops are really simple and cute too. Patterns are going to be a Spring fashion must this year and a classic tartan is an easy way to use that in an everyday fashion. A simple pair of black skinny jeans that flatter my legs and bottom! But if you’re not comfortable in skinnies. Why not try a boyfriend cut for a more tomboy look. Or a bootleg cut if you’re not looking for a tomboy style either. If you’re uncomfortable with trying colour try pairing it with black items. This way you can gradually get used to the more vibrant colours. building it up so you can feel comfortable and confident in colour. Paired with my trusty black boots that will soon be replaced with ankle boots as it gets warmer. However, these boots have been a staple in my winter wardrobe as I find boots always are. They come to the knee for warmth and are flat for comfort. I also love a boot with a good buckle detail. The devil is in the detail after all. Following with the red I went for simple eye makeup, just browns on the lid. Lighter in the centre and inside corner of the eye. A darker shade blended out at the outer corner and along the top. This is to frame the eyes. The liquid liner on the top and white liner on the bottom waterline. The white really gives the look such a fresh finish. The eyes look much brighter and open. The pop of red on the lip again helping to tie the whole look together.Throw in some cute round-framed shades and you have a super cute, very eighties style look! Love it. Like I said if you find it hard to wear colour or are not sure how to style it, play it safe. Style with black and you can’t fail. Tie in a few colour coordinated accessories or lipstick and you’re good to go. With Spring fashion coming in strong now, you could also try a pastel if a tartan shirt is a little too much for you.Well, that’s it for this blog but I hope you can take something from this to rock a print or colour in your Spring Fashion. What is your go-to colour pop for your everyday fashion, that one colour you just know you can slay? Lets us know in the comments below. 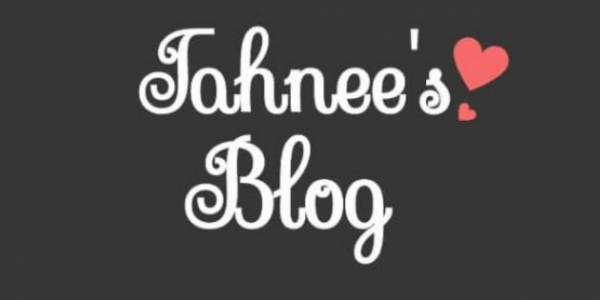 Also if you want to keep up with all things Tahnee’s Blog, then come and drop a hello on any of my social media pages. I’d love to see you there. I love this look! It’s super casual, but also dressy enough that you could wear it out in the evening. Great outfit!! It suits you very well. I love chequered shirts, because they are so stylish and classy at the same time. This one looks great on you !